Critter Comforts owner Dista Gogun, Napanee Salvation Army's Major Valerie Hennessy and Nicole Dombroskie Photography owner Nicole Dombroskie show off $1,000 worth of pet food, which will be donated to the Salvation Army Food Bank. The money was raised through a Santa and pets photoshoot, held last month with Bayview Resorts loaning Santa for the event. 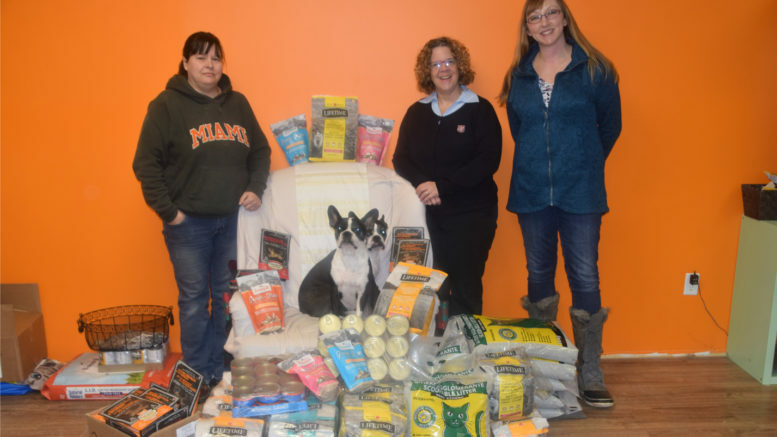 The pet food companies pictured also offered a big discount to the food bank. Photo by Adam Prudhomme.